Printer worked fine yesterday but today shows that the ink tanks cannot be recognised. All ink cartridges are ok and haven't changed them recently. Have taken them out and replaced them but still get the same problem. "ink absorber almost full" what the? My PIXMA MX850 isn't receiving any power. I have tried replacing the fuse and the plug but it hasn't solved the problem. The power supply is simply not working. I get the following error: "Rear Cover: The paper is jammed. 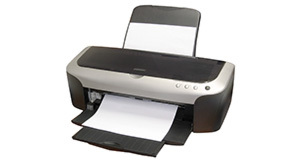 Clear the paper and press OK" This error occurs even with no paper in the printer. Photos printed using Photshop Elements 9 come out with colors distorted even though the monitor was calibrated with i1display2. Is there an adjustment to the printer settings or to Photoshop Elements 9? All problems on this page have been submitted and answered by users. If you have a problem with the Canon PIXMA MX850, please submit it below and we'll post it here. Problem: Printer worked fine yesterday but today shows that the ink tanks cannot be recognised. All ink cartridges are ok and haven't changed them recently. Have taken them out and replaced them but still get the same problem. Problem: "ink absorber almost full" what the? Problem: My PIXMA MX850 isn't receiving any power. I have tried replacing the fuse and the plug but it hasn't solved the problem. The power supply is simply not working. Problem: I get the following error: "Rear Cover: The paper is jammed. Clear the paper and press OK" This error occurs even with no paper in the printer. Problem: Photos printed using Photshop Elements 9 come out with colors distorted even though the monitor was calibrated with i1display2. Is there an adjustment to the printer settings or to Photoshop Elements 9?